10th February, 2019. History of Public Parks, 25. 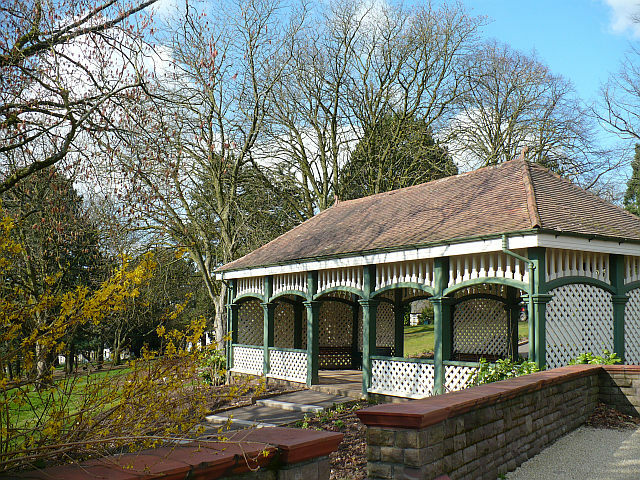 The picture above shows the ‘Tea House’ at Belle Vue Park, Newport, S. Wales. It reflects the Park’s designer’s fondness for rustic structures in public parks, the designer being Thomas Hayton Mawson, 1861-1933. Mawson became a well-respected park designer (despite having left school in Lancashire at the age of 12) 50 years after Loudon (s.p.b.s) and other early pioneers were promoting the first public parks. By Mawson’s time public parks were a standard yardstick by which municipalities were judged – Hull’s East and West Parks were up-and-running by the late 1880s and before the Great War Pickering Park was to follow. Mawson was working at the time when the Arts and Crafts Movement, personified by the life and work of William Morris, was in the ascendant and when Ebenezer Howard’s Garden City Movement was becoming influential (Letchworth the first purpose-built new town was completed in the first decade of the 20th century while in 1905 T.H. 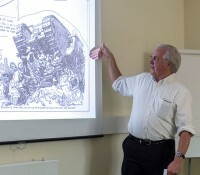 Mawson played a key role in the lay-out plan for W.H. Lever’s model worker’s community at Port Sunlight on the banks of the Mersey Estuary). Other key figures in this burgeoning model communities movement were Raymond Unwin and Barry Parker who, amongst many other initiatives, produced model house designs for the Homes for Heroes initiative from 1917 onwards. So Mawson was one strand of contemporary initiatives to improve the urban environment. As a young married man Mawson designed a number of gardens in the Lake Windermere area of Cumberland, mainly for wealthy Lancashire industrialists and was to be later buried in Bowness Cemetery. In fact Mawson may have planned the excellent caravan site that I stayed at in Bowness in Windermere as the Fallbarrow site was originally a landscaped garden for a lakeside Edwardian period house. Before the Great War and immediately after Mawson gained commissions to design public parks not only in Britain but on the Continent and also in Canada.